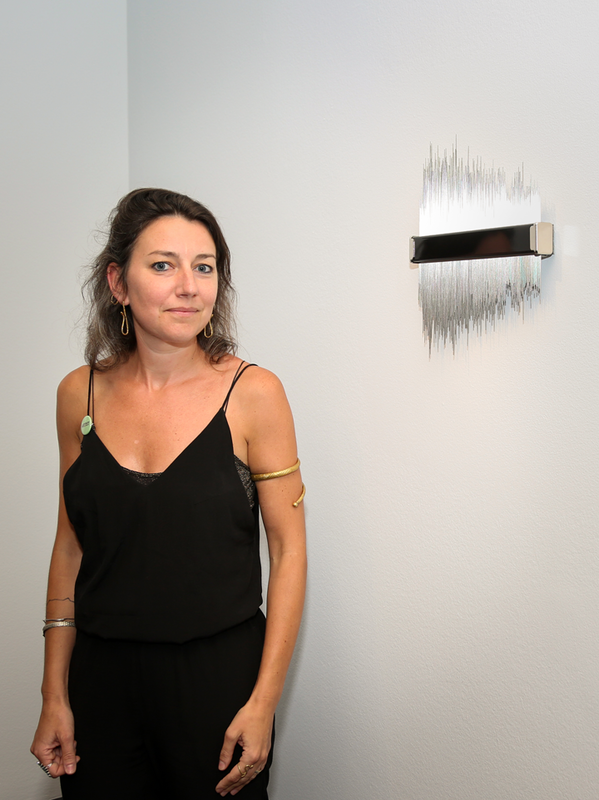 The fifth installment of NMWA’s Women to Watch exhibition series, Heavy Metal, is presented by the museum and participating national and international outreach committees. The exhibition showcases contemporary artists working in metal, including those who create sculpture, jewelry, and conceptual forms. Heavy Metal engages with the fluidity between “fine” art, design, and craft, whose traditional definitions are rooted in gender discrimination. Two of Charbonnel’s works in Heavy Metal, Petit colosse n°7 (2016) and Resonarium (2011), contain iron filings suspended in space by magnetism. Resonarium, in particular, demonstrates the strange way in which magnets can help metal defy gravity. The work’s central core rotates slowly on a motor while iron filings shift subtly, pulled by an invisible magnetic attraction. Viewers may find the work to have a magical, hypnotic quality.